Now as most of my readers will know, the highly-coveted title of Miss Pinup NZ is up for grabs again in April. Mumpty has been fortunate enough to have secured interviews with all ten fabulous finalists, so I am declaring March the month of The Pinup Platoon … wahooo! Check back each day because the interviews will reveal things you never knew about the finalists and there’ll even be some teasers about what to expect from them on the big day! There will also be other little treats interspersed between the interviews because of course March has 31 days, and there are only ten finalists! 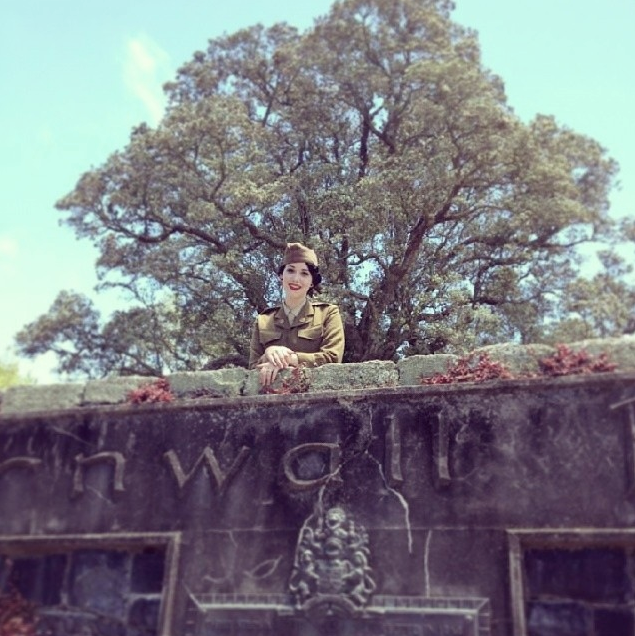 Later in the month there will be an interview with Miss Pinup NZ 2014, Miss Victory Violet herself. And it’s not just all about the Pinups … there’s something in it for you readers too! 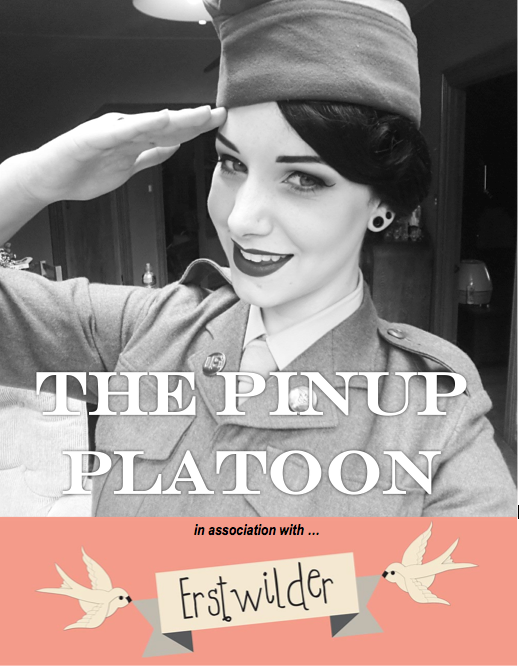 You’ll notice the gorgeous Pinup Platoon image of Miss Victory Violet up there says that The Pinup Platoon is in association with Erstwilder. How exciting is that?! Erstwilder is a Melbourne-based company making big waves in the pinup and rockabilly scene lately. Their stunning brooches, earrings and necklaces are quirky and fabulous and can be found accessorising many a stylish pinup these days. All pieces are limited edition; lovingly made out of layered resin and designed by a team of Australian illustrators and designers. Just so you know … this one is my current favourite, but tomorrow could well be different! So what’s in it for you, you ask? Why you greedy, impatient little thing! 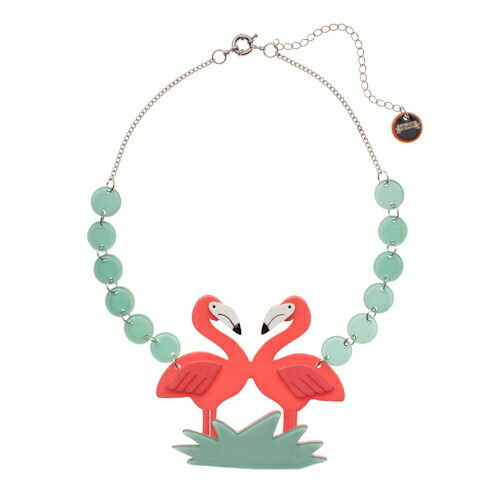 Well – we do in fact have a fabulous competition for you, in which you can win one of two sold-out, highly-sought-after Flamboyant Flamingo Fair necklaces from Erstwilder. That’s right – there are TWO to be won! Here is Miss Victory Violet showing us how she styles her Erstwilder Flamboyant Flamingo Fair necklace. What do you have to do to be in to win? 1) Like MumptyStyle’s Facebook page here and share this post. 3) Sign up to the Erstwilder newsletter here and be the first to learn about competitions and new designs. If you want to check out the existing designs, you can visit Erstwilder’s website here. 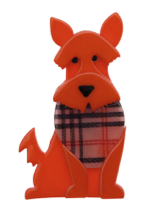 There’s also a stockist page you can visit to find out where to purchase, in case you don’t win! Or if there’s a design you like, but can’t find, you can e-mail them on hello@erstwilder.com and they’ll try and help. You need an Erstwilder in your life one way or another, right?! I can’t wait to get this Pinup Platoon started! 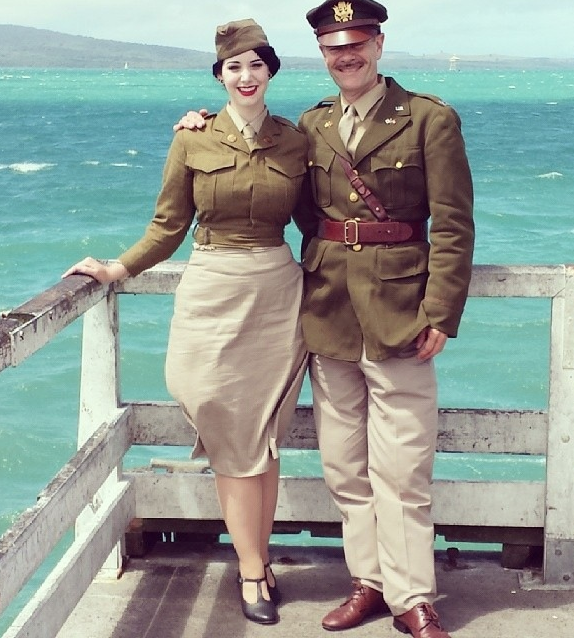 Don’t forget to visit the Very Vintage Day Out website here, and Facebook page here, to find out all about what’s happening – Miss Pinup NZ is just part of the vintage and retro festivities! 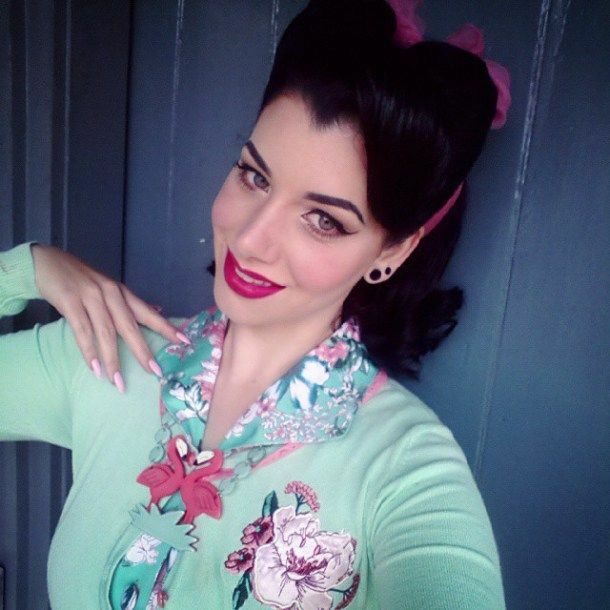 Posted on March 2, 2015 September 30, 2018 by MumptyStylePosted in Burlesque/PinupTagged Erstwilder, Erstwilder competition, Erstwilder Flamboyant Flamingo Fair necklace, Miss Pinup NZ 2015, Miss Victory Violet, The Pinup Platoon, Very Vintage Day Out 2015.
thank you so much!! so looking forward to learning more about these lovely ladies! !